Looks like the Acharya has rebranded himself as a Self-help Expert, instead of styling himself as a knowledgeable Buddhist teacher with numerous testimonials. “So Buddhism is not the world’s first devotional religion? No problem, I remarket myself as a self-improvement expert…..” But then, the Acharya no longer seeks to bring devotion back to Buddhism anymore? It is not that simple, there are considerable implications and we elaborate. The Acharya would still use Testimonials, instead of linking his own audible lectures in mp3 or converted-readable-pdf-lectures, or adding written teachings in his zenji.org, to tell people how good his scholarship is. The Acharya has a long list of Testimonials and massive photos with celebrities. The Buddha advises that ‘Don’t go by reports, inferences…’. Yes, this blog itself is also subject to the Buddha’s advice: don’t go by inferences. Listen to the Buddha, examine the Acharya’s teachings and sayings yourself, instead of only relying the Acharya’s testimonials of words, or co-snaps with celebrities, or this blog’s analysis and inferences. The first establishment is that Kashmir and West Bengal regions they are different geographical places in India. The term “Buddhist-Brahmin”, if that exists, is possible. Mahayana Buddhism originated from the Kashmir region of India, where there was a concentration of Brahmin pundits/scholars. “In Kalhana’s time, and before, there was apparently no distinction between “Hindus” and Buddhists in Kashmir. Kalhana himself used Buddhist terms and expressions as a Buddhist would. “Acharya” is not a casual title, it is to be conferred upon by another Guru with the title Acharya after the student had completed the required rigorous studies. Acharya explained that his last name is Acharya, from West Bengal region of India. His family provided stewardship for the Madhgada Empire Pala temples. setting aside the place of origin of Sri Bodhidarmaji, we would just go with Sri Nagarjunaji. If the Acharya, claims to be of lineage of Nagarjuna, then his legacy is from Kashmir. He can’t have both. He can’t have both logically, geographically and historically, with last name Acharya of West Bengal/Darjeeling heritage, and with the identity of Buddhist-Brahmin, traced back to Kashmir Himalayan region. In short, if his last name is Acharya, his heritage can’t be from Kashmir-the Himalayas, he can’t claim to be a Buddhist-Brahmin. If he claims to be of Kashmir Mahayana Nagarjunaji linage, he can’t be from West Bengal with a last name Archaya. Scroll down: Acharya as last name is a last name. Bengali Brahmins surname list does not include the surname “Acharya”. In Buddhist society, intellectuals of very high orders used to be honored by “Upadhyaya” tile, whereas intellectuals of lower order used to be honored by “Acharya” title. On the other hand Vedic system follows reverse of Buddhist System. In Vedic system intellectuals of very high orders used to be honored by “Acharya” title and of lower order by “Upadhyaya”. Thus we find, Dronacharya, Kripacharya, Sankaracharya, Madhavacharya, Ramanujacharya, Ballavacharya etc, but not a single Upadhyaya. d.	See also https://ramanan50.wordpress.com/2013/06/30/surnames-of-all-brahmins-bengal-odisha-haryana-assam-up-mp/ Nebulia: there are also many excellent wiki articles. I decided not to list them here lest the supporters went to edit them favourably. Who knows if the Acharya shall have a title “Zenji Upadhyaya” in the future as it deems fit, that’s why this blog has to be here, to provide data reference, and aims to stay as tenacious, as resilient as he does. Implication #1. If the Acharya finally clarifies that he is indeed an academic Acharya, the title was earned by having studied under another guru who conferred the title to him. Who actually is the direct guru who taught him? Please give the name of your guru and illustrate your academic lineage by physical media, not by verbal self-claims, 3rd party references, nor public teachings. Implication #2. Even if he manages to prove it, he indeed manages to prove his lineage is a lower status……he contradicted his own claims about “highest” “oldest” lineage or status – to recap: in Buddhist society, intellectuals of very high orders used to be honored by “Upadhyaya” tile, whereas intellectuals of lower order used to be honored by “Acharya” title. Ultimately, we do not ask the Acharya to “Prove It” or “Prove it with ID”. Perceiving from the quality of the lectures, there is no need for the Acharya to prove his claims, it makes no difference. If the Acharya actually strives to prove it and he manages to prove it, the lecture samples and his Buddhist knowledge presented to us put his both ancestral lineages, and his claimed academic lineage, to same. Unfamiliarity with the dualistic origins of Buddhist-Brahmin, sociality and culturality of the Bengali Brahmins, and the academia order “Upadhyaya” and “Acharya”, suggests that he is triple neither. Since he’s been sticking with the title Acharya with academic tone and proclaimed his academia as “highest” for several years, it suggests his unfamiliarity with original Indian Buddhist Guru-Dharma tradition. Therefore, he is not an academic Acharya. The whole scene is an evil snow ball rolling bigger and bigger. Buddhism is his Wall Street. Now that he is the Abbott of a temple, and how about the past questionable dots that look Buddhism with the cover of Buddhism? They are means to get there. Overall we can see an all too familiar pattern, he would never want to show his own teachings, but via side-means with celebrities, people of authority, give talks, give conversations, and then e.g. a 3rd party producer, 3rd party monks of an order, would give him heavy-weight compliments, and then he would record the compliments and achievements to affirm his substance. Meeting with Monsignor Collins is definitely an honour, but what did they talk about? No no, he wanted to show us that they met and talked, he did not want to show nor share what they talked about that benefits humanity…. Hence, we have a self-proclaimed knowledgeable Buddhist teacher who never wanted to share his Buddhist teachings in his own website. Showing his Buddhist/religious teachings, writing an essay, writing a Buddhist essay, are his Achilles heels. Allow me: He is not a Buddhist-Brahmin, nor a surnamed-Acharya from West Bengal. I have hard data and his Buddhist teaching content to demonstrate; he has claims, “I am, take my words for it”, and he does not have his Buddhist teachings and contents to demonstrate. This blog is still old-fashioned. Being old-fashioned has its own character of insistence and persistence. Implication #5. 2nd ‘No Problem’ update: the Acharya simply reverted the term ‘Buddhist-Brahmin’ and calls himself a ‘Brahmin-Buddhist’. No problem. A childhood picture with caption ‘Shaving his head to become a Brahmin…’ So Brahmin is equivalent to a monk, is a monk, according to his new definition. How creative! How innovative! How extenuative! His mind never ceases to amaze me. If things were that easy, a lot of people’s lives would not have been so miserable. Talking about miserable and pathetic…..
We do recall cases that he involved himself into the term ‘Buddhist-Brahmin’. We better capture the contents here lest the related contents were gone from the original URLs due to technical updates. Btw and he’s been writing that book since forever. Nio-Acharya insisted that he is a Buddhist-Brahmin at that time, not Brahmin-Buddhist. “Firstly, I am often told that I am one of the only if not the only Buddhist-Brahmin one will find in this day and age.” His story is very random, adaptative, attaching himself to lineages, just for suiting that time and that need. Btw what happened to the girls who were supposed to be the actresses in the proposed movie? Nio-Acharya was just spending their time. –	what happened to the Noble Eightfold Path? That he himself lectured about it? Is that the Right Thing to do? –	And for the term ‘Acharya’? He basically goes for ‘Don’t know and don’t care about “Upadhyaya”. It is my lineage, my tradition. (Take my words for it. )’ No certificates, no IDs. –	We have gently reminded him, recommended to him before, that hyphenated titles are illusions, and he is still clinging to it. Attachment, illusion, desire for power, recognition, fame, all these found attributes…and he imaged himself as a Buddhist teacher who teaches people right-and-wrong; a self-help expert who helps to transform people. –	He himself self-willingly reveals the darks of himself. Sigh, when you want to show your glory, you are showing your darkness – that is the dangerous meaning of the mirror pair “live” and “evil”. Implication #6. Money was involved. The Acharya claimed he charged higher lecture fees, sometimes affordable fees. No matter about the amount of money, money was involved. The audiences were charged $10 for the data-error lecture. Civil case – the lecturer honestly believes his are the authentic Buddhist teachings (and there are even more implications); and the other case – . “Not even the Masters Program at Delhi University conveys the level of knowledge that Zenji possesses…” – Ashok Bhatia, son of Vimal Chander who worked with B.R. Ambedkar on the Indian Constitution. In short, equivalent or beyond Masters level. I shall use an imagined example of a military warfare fan. He can tell you regarding the D-Day on 1944 June 6, the manpower arrangements, strategies of the Allied forces and the German Nazi forces; he can tell you, in a powerful oratory manner, how the tanks kicked each other in the Battle of the Bulge, as if you were personally there….thus that earned him the sincere compliments from scholars, “his knowledge of WWII is equivalent to a History student with a Master’s degree.” It is a sincere compliment no doubt. In the earlier posts, we were talking about the Acharya’s lacking of power of synthesis. If we were to ask the WWII fan for the sake of Sun-Tzu and West Point case studies, “How Hitler could have turned the tide of the war?” That, is a real test of his substantial integrative knowledge of the WWII board. Starting with Hitler’s Mein Kampf to study his mindset, Axis member Japan’s attack on the Pearl Harbour, Hitler’s relationship with the Soviet Union, the implications of the Yalta Conference, his decision to convert ME-262 as a bomber….on and on. “Its great that Zenji is doing an amazing job running the World Buddhist Council and we are proud of him for doing a wonderful job promoting Buddhism for all humanity!” – Ajit Lear, Spokesman for Ambedkar Mission. It is a polite comment regarding the World Buddhist Council. The World Buddhist Council is a virtual shell organization. Is it registered with which of the governments? A charity organization or no? What are the stated Mission and Vision? Where is the membership application form for downloading? If there will be an application form, where should it be sent to for old-fashioned snail-mail members? No PO Box please – we are trying to affirm that WBC is not a shell organization, aren’t we? Who are the committee members responsible for Recreation? Junior and Youth Buddhist Education? Adult Buddhist Education Co-ordinator? Treasury? Outreach, Communications and Public Relations? Secretaryship? Any sample newsletters to members dated back? Could he show us the accounting sheets (or to the professionals)? Any evidence of past activities? Typical e.g. Zenji and disciples and members of the Toronto chapter recently held an outdoor vegetarian BBQ in Park ….. They enjoyed their times very much and photos? e.g. The junior members of WBC-Toronto Chapter recently participated in an internal ping-pong tournament. After the awards, President Zenji gave a treatise on the value of sports and recreation in Buddhism. Last but not least: they are polite supporters, but none of these guests are true supporters. None of them says “I am aware of the critics’ blogs about him, among them contemplatingZenArcharya blog, and I still support Zenji.” ~ if there are, they are the true supporters. To elaborate, the ex-Toronto-mayor Rob Ford took drugs, he lied about it, and he still has supporters. These are the true supporters for this discussion context. They were informed, and it is their freedom. The Intercultural Dialogue Institute (IDI) welcomed Mahayana Buddhist Zenji Acharya to an intimate gathering at its GTA headquarters September 17, 2014. Zenji, dressed not in a monk’s orange garb but in black trousers, a dress shirt and a suit jacket accompanied by ancient malas, his black shoulder length hair pulled back into a wavy pony tail, applauded IDI for hosting yet another event offering the opportunity for people of different backgrounds and religious beliefs to learn about Buddhism through open dialogue and inquiry. Zenji, his slight frame against a backdrop of rare Mahayana Buddhist artwork, his brown eyes alive with the passion of his forefathers, seeks to make Buddhism relatable to a modern world. His Buddhist Brahmin lineage harkens to Bodhidharma, the founder of Zen Buddhism, Nagarjuna, the founder of the “Middle Way” School of Mahayana, Vasubandhu and the founders of Chinese Buddhism, Paramartha and Kumarajiva among others. His vision includes bringing back the Buddhism of his ancestors by returning to scripture and the fundamental values embedded in the sutras. He aims to dispel popular myths and misinterpretations about Buddhism by returning to the truth found in scripture and archaeology and by providing citations from the Buddhist discourses (sutras) focussing on the Lotus and Amitabha Sutras of Mahayana Buddhism. Mahayana, meaning “Great Vehicle,” is known as the bodhisattva path. This path entails cultivating “perfections” and eliminating negativity for many lifetimes to reach full Buddhahood. This must manifest in the individual as a heartfelt desire to reach Buddhahood to help to free others from suffering. This yearning, based on compassion for others, becomes the motivation of the entire bodhisattva path. Buddhism emerged as a reaction to Hinduism and its caste system. Buddhism was founded by Gautama Buddha, born in India in the fifth or sixth century B.C.E., who developed a spiritual path called the Noble Eightfold Path. This path leads to Awakening and Nirvana, a state of freedom from suffering. This path was available to everyone regardless of caste or gender. The original school of Buddhism that developed from his teachings was called Hinayana or “Lesser Vehicle,” and led to Arhatship, but does not lead to full Buddhahood as in the later Mahayana schools of thought. In closing, Zenji seeks to bring people the awareness that they must avoid taking elements from Buddhism’s tenets that suit their agendas. He revives Buddhism’s core doctrines by awakening the voices of his Brahmin ancestors through the sutras to keep the tradition alive. He says that “there should be a degree of truth brought back whenever we are teaching” and that “Buddhism must be given its rightful place.” Zenji affirms that Buddhism is the world’s first devotional religion; as such he seeks to bring devotion back to Buddhism. After the presentation, the attendees engaged with Zenji in an animated question and answer period and stayed long afterward. IDI succeeded in offering a venue, a welcoming environment and a tasty luncheon conducive to encouraging open dialogue among people of differing religious and secular backgrounds. Acharya went on to punctuate his posh English accented speech with eloquent recitations in pure Sanskrit from the iconic Saddharma Lotus Sutra which deeply inspired and influenced both human rights icons Mahatma Gandhi as well as Rosa Parks – all delivered from Zenji’s own memory without any notes as per the tradition of the highest acharyas of the world’s foremost university of Nalanda. Zenji Acharya also explained the original vow of universal salvation to all castes, colors and creeds as promised by Amitabha – the Buddha’s most popular and eternal form – prompting high praise from those attending on behalf of Japan’s largest Buddhist congregation Jodo Shin Shu. Notable Buddhist Teachings of Zenji Acharya quoted from above. 1. Buddhism is ‘Goddistic’. Amitabha Buddha is a god. Comments and thoughts: there are gods in Buddhism yes. The sutras record that gods of different strata of heavens gathered to listen to the Buddha giving talks. ‘Goddistic’ has a different meaning. 2. Amitabha is the Buddha’s most popular and eternal form. Comments and thoughts: i.e. Amitabha Buddha and the Buddha are the same entity. Amitabha Buddha is a god, and is the eternal form of the Buddha. Comments: i.e. the Buddha is the eternal god. Comments and thoughts – the above statement is a Pablo Picasso or Salvador Dali painting expressed in words. My response is just as abstract – ‘?’ It’s a semantic concern to sort out. a. Does it mean: There are other beings within Buddhism who provide salvation, but Amitabha was the first? c. Does it mean: The Buddhist concept of reception of the departed souls into the Sukhavati Pure Land/Heaven by (a redeemer) Amitabha Buddha’s grace, was the first among the soteriological belief systems of salvation and redemption? If the Acharya means ‘C’, that contradicts the testimonials who praise him of fluency and eloquence; therefore, the Acharya would mean more oriented to b. and a. If the Acharya means ‘B’, there are fundamental conceptual concerns. If the Acharya means ‘A’, there are the metaphysical and literary concerns – what actually is the point of such juxtaposition? The Acharya himself is in a better position to clarify, or his dharma becomes a hindrance. For A., to supplement, Avalokiteshvara/Kuan Yin, who is said to be able to help anybody, if one only hears his/her name and memorizes it. In his/her great compassion he assumes as many forms as necessary in order to save all beings (including people and demons in hell), if they simply accept the doctrine he preaches to them. Why the two genders? These are contingent manifestations of the celestial being Avalokiteshvara, who does not possess a form, who transcends beyond forms. Avalokiteshvara had already attained Buddhahood countless kalpas ago, but still manifested as a Bodhisattva so that he can come closer to the sentient beings. There are many sentient beings who do not have enough merits to be in communion with a Buddha or the manifestation, but they have the merits to connect with a Bodhisattva or the manifestation. For that reason Avalokiteshvara remains the form a Bodhisattva, which is an emanation at will. Also search reference for the Great Compassion Mantra. Ādi-Buddha, among some sects of Mahāyāna Buddhism, is the self-existing, primordial Buddha. The term refers to a self-emanating, self-originating Buddha, present before anything else existed. The concept of Adi-Buddha is the closest to monotheism any form of Buddhism comes. If the Acharya means ‘A’, what is the dharma purpose of specifying who was the first? What purpose does it serve? For B. and C., we collectively interpret the redemptive faith systems by chronological arrangement and not by contending the eternality of the gods on their behalf (applies to A. too) – it is both a disrespect and a disservice. We cite Hinduism, which factually existed before Buddhism. As rivers flow into the sea and in so doing lose name and form, so even the wise man, freed from name and form, attains the Supreme Being, the Self-luminous, the Infinite. He who knows Brahman becomes Brahman (Mundaka Upanishad 3,2,8-9). The liberation of self (atman) through metaphysical knowledge (jnana, vidya) or asceticism (tapas) cannot be an open option for the average Hindu. For this reason most people adopt a certain devotional practice (bhakti) in order to transcend the world of suffering. The most important gods that are worshiped today are Vishnu and his avatars (especially Rama and Krishna), Shiva and the goddess Shakti (also in her forms as Kali or Durga). They have the following defining characteristics: 1) acceptance of a personal god as Ultimate Reality, 2) performance of a certain ritual to worship him, 3) invocation of his help to attain salvation and 4) understanding salvation as uniting with god or attaining a perfect and eternal relationship with him. 5. Zenji affirms that Buddhism is the world’s first devotional religion. Comments and thoughts. Chonological perspective – Hinduism factually existed before Buddhism. Bhakti yoga – devotion – is part of Hinduism. Rg Veda, a very very old ‘Hinduism’ sutra/hymn c. 1500–1200 BCE, narrates devotional offering of soma juice to the gods. Hence forth, there are the derived questions. What are the lost Buddhist devotional elements to be brought back? (This is a physical data question.) e.g. there is a revival of ‘foot washing’ in Christianity. Buddhism is a devotional religion. The Buddha did not disparage devotion, which grounds commitment and humbleness. He accordingly cautioned that pre-occupation with devotion works against the spirit of liberation and deliverance in Buddhism. Mahayana Buddhism developed out of the Theravada tradition roughly 500 years after the Buddha attained Enlightenment. The Acharya himself teaches that Theravada is more anchored to self-attainment, arhatship, an enlightened state. Thus Theravada is less devotional. As Mahayana developed, it became more devotional. So, how do you go back to the original, earlier core Buddhism to bring back the ‘lost’ devotional elements, given that the earlier Buddhism was less devotional? The main theme of his talks is humane and noble, it is the fundamental content that I have comments and thoughts. Finally we get a glimpse of the Acharya’s Buddhist teachings and his Buddhist/religious knowledge. As I read on his website’s testimonials, originally I had hoped that he could give a treatise on the pivotal Buddhist concept of the Self or No-Self. Yes, the testimonials are sincere and polite. His claims of government documents, oldest Buddhist lineage, and childhood training serve as introductory introductions. Zenji is the President of World Buddhist Council. Zenji claims that he lectured along with Harvard scholars and corrected PhDs. Zenji seeks to bring people the awareness that they must avoid taking elements from Buddhism’s tenets that suit their agendas. ~ Well said. The Acharya tells us that he participates in social charity works to make the world a better place. Good works are good works, the Pan Am Temple is a temple, they are not to be discredited. He made some updates in his website responding in this way, “Well, many people still say I am good, and I do a lot of good things….” Same old, same old; btw, his zenji.org still does not contain Buddhist teachings nor links to his own Buddhist teachings. He is proud of his accomplishments, awards, honours and titles, but he is not proud of his own Buddhist teachings, nor are we. ~ It’s a kind of Buddhist teaching in his theology. Later on he may delete it again. Is he saying e.g. Yahweh of Judaism/Christianity in the Biblical Testaments is a manifested form of Avalokiteshwara? “Supreme Buddhist Super-God”? Besides this flabberghasting articulation which leads to a suspicion about his inner psyche, such term renders the suggestion that his is a ‘Monotheistic Buddhism’, which is a new category. Together with ‘Amitabha was the first being to give salvation’, ‘Avalokiteshwara the Supreme Buddhist Super-God’….they start to make us wonder about his mental mystery and what he actually believes, meanwhile he advocates his to be authentic. Although he doesn’t believe it, this young atheist scholar describes Mahayana Buddhism and Pureland Sect even better than the lecturer did: concise, approachable to the layman, beautiful painting description of the Pure Land Heaven….Sigh. His Testimonials have become not an asset but a library. He may as well continue to list more testimonials, but these become his library. Coming to this point, agreeably there is no need for the Acharya to prove his claims of oldest Buddhist lineage and childhood training. Inspired by the quotation of “If you can’t take the heat, don’t enter the kitchen”, I am writing an analogy of “the story of a great, psychologically mysterious chef”. Chef Arnie claims that he comes from a family line of celebrated culinary traditions. His ancestors had been royalty chefs, cooking for the noblemen and royalties. He himself had received rigorous culinary trainings since he was small and had special insights on cooking and possesses exclusive family recipes. He showed photos when he was small, dressed in a neat chef uniform, in a kitchen cooking with the steaming pots and sizzling pans. Chef Arnie himself founded the World Culinary Council and is the acting President. He says he is writing a cook book based on his family recipes and tradition. Readers from Canada and the rest of the world, visiting his dotcom and dotorg websites, impressed and thrilled by the exciting claims, testimonials, and pictures of this celebrity chef with other celebrities and people of authority, could not but being feeling compelled to almost “salivating”. Me too. The response is no response. Nothing, nada. That said, more and more testimonials of celebrity complimenting his cooking listed. Some of us, although he may see them as critics, would address and hint to him, “Dear Chef, from the perspectives of website design and the culinary profession, it is indeed very odd for a chef’s own website which appears to be not having cooking tips, recipes, and future culinary demonstration schedules. Like when and where you will appear in TV-Chanel 69 to demonstrate summer BBQ tips, when and where you will be in Milton Hotel Conference Room hosting a talk and cooking event…” We link a sample chef website where the other chef shares cooking tips and recipes and his calendar. Now he had the time to respond and responded by a statement in his website. And for his own authentic recipes and tips? Nothing, nada. That said, more and more testimonials of celebrity complimenting his cooking listed. So we encounter a celebrity chef’s website with no recipes and cooking tips, no future cooking demonstration activity schedules; just the culinary titles and all the honours he holds, and the testimonials of compliments received after the more and more culinary demonstrations that happened – the events that he would not inform the public beforehand. “He does not…..”, and you can’t really blame them. As for his own recipes and tips? Nothing, nada. That said, more and more testimonials of celebrity complimenting his cooking listed. Coming to that point, how and what do you think of this bizzarro scenario? How and what do you think of this person, not as a chef, as a human being? In addition, before he considers such high-pressure options of power to the common folks, all he needs to do is to show, demonstrate, exhibit, some of his cooking experiences, recipes to quell the query and doubts, to quench the hunger and thirst of people who admire his name and fame. I do not doubt the genuineness of the compliments, but I come to the conalysion (not a dictionary word) that the chef’s website is not for disseminating culinary knowledge, but for self-gratification out of self-glorification. He throws out his cooking skills to impress the elite and the celebrities, they get thrilled, he asks for and collects compliments and posts the testimonials, he shows them to the world. He feels good about it. Please join me onto PART II The Story of a Buddhist Guru. See two blog posts below for Concordance in Motion again? Additional lyrical analysis: this analysis sets aside the merit/concern between modesty and toned commercial promotion; and his commencing age of dharma inspiration and immersion, the focus is on the style and context. The promotion of this Zen Duke Robin Hood movie went with a strong and confident tone. Two remarks about the Dharma calling of Zen Duke are that 1) he was mature enough to have worked for Mother Teresa; 2) visited a Buddhist relic heritage place and was deeply connected to the Buddha and his Dharma. The other Zenji dharma biography states a more detailed, extended dharma biography – born of Acharya lineage, family possession of preserved Buddhist manuscripts, family preservation and stewardship of historic Hindu-Buddhist palaces-temples, having studied the Dharma diligently and inherently since earlier. Nio is the founder of the Soho Museum of Asian Art and Heritage that houses one of Canada’s preeminent collections of Asian Art and conducts in-depth research into Asia’s spiritual traditions. He is therefore working on a landmark book “Everything You Need to Know About Buddhism (But No One Else Is Telling You)” which will present singular research into Buddhist scripture, art, archaeology and history to correct many common notions about Dharma. An expert in comparative religion, Nio’s presentation will also include “Siddhartha: A Historic Exhibition” – featuring rare, 2000 year old artworks that exemplify the Buddha’s teachings on harmony and loving-kindness to all sentient beings. Many of the pieces will be publicly displayed in Canada for the very first time. Zenji is the only Western expert to hail from what the Indian Express dubbed “the world’s oldest and most venerated Buddhist lineage” that comprised the Buddha’s closest disciples Sariputra and Maudgalyayana and founders of every major Buddhist tradition from Asvaghosa and Nagarjuna (founders of Mahayana) to Paramartha and Kumarajiva (founders of Chinese Buddhism), Padmasambhava and Atisa (founders of Tibetan Buddhism), Buddhaghosa (Theravada) and even Bodhi Dharma (founder of Zen). It also included Buddhism’s greatest scholars from Shantideva to Nagasena and even the distributor of Lord Buddha’s relics Dona Acharya among others. Furthermore, Zenji is the only Westerner to hail from a direct line of sages that built dozens of temples near the Buddha’s home in Magadha many centuries ago that continued the original Buddhist traditions of India and contributed to the spread of Buddhism down the Silk Road. As a result Zenji is privy to rare insights passed down generations that one cannot find on Wikipedia or in conventional courses. He is therefore working on a landmark book “Everything You Need to Know About Buddhism (But No One Else Is Telling You)” which will present singular research into Buddhist scripture, art, archaeology and history to challenge and correct many common notions about Dharma. It will also explain the most important sutras in an easy-to-grasp manner that anyone can apply even today when dealing with real-world situations in their day to day lives. A powerhouse orator, Zenji has also been compared to a Buddhist Joel Otseen for giving a new face to Buddhism and taking it out of the classrooms and monasteries and into the mainstream. In this context, Zenji is also directing the first international films on spiritual giants Bodhidharma and Vivekananda to carry on the Indian tradition – from the Jatakas to the Ramayana – of empowering the masses through entertainment. ^^^^^ They are more addressed, not as detailed yet. That means, if one went for the non-modest, heavier promotional approach for the Robin Hood movie, the detailed dharma biography, which is more compelling and impressive, which gives a sense of authority, would have been adopted. – to reiterate, this analysis does not comment on the sensitivity and sensibility between Buddhist modesty and toned commercial marketing, it is not the focus. The focus is that we are trying to connect some clues. Therefore, it is analyzed that the later biography that emerges with later pseudonyms and in later dharma names’ stages, is a later biography. This analysis invites accord debate and refutation. Childhood pictures prove nothing. – the typical Thai adult can show you a picture in his monk cloak when he was smaller. Again, the best conduit to prove and demonstrate his childhood Buddhism immersion (as he states) is to post his Buddhist essays or lectures for the Dharma students and seekers, especially for those audiences who can afford less – since he said sometimes he charges a higher lecture fee. His proclaimed Lotus Sutra commentary can also demonstrate – is there a sleek preview? If and if there are similar responses like these: ‘well, some losers are just bitter and jealous…’, it is a Satanic response. Such response should not even have come from a Buddhist teacher, any teacher. Mother Theresa was once asked about her prayer life. On Modus Operandi – to continue on this topic, see previous post. Unless the materials are to be physically published via media by a publication or publisher in a physical mag or e-zine in the near future, with the identifable, verifiable name of the interviewer, and his/her position, I shall nevertheless appreciate that an emulated telephone interview is a good format of education presentation. 2. ‘World Buddhism Council’ has several thousand members. Too bad worldbuddhistcouncil.us the Buddhist forum did not come to be. If one of ten of the several thousand members registers for the forum, then there are several hundred forum members providing interactions for the dharma seekers’ learning benefits. Next thing you know, he would remove the PhD student testimonial comment instead of posting the Kitchener lecture. ….but then this would confirm “a real compliment artificially metamorphosed into a lie”. 4. Sri Nisargadatta Maharaj’s I Am That – a deeply conscious and influential book. Sri Mahraj was a factory worker. A working family man with children. As a boy he assisted his father in such labours — tended cattle, drove oxen, worked in the fields and ran errands. I am not referring to the person Maharaj himself. Sri Maharaj’s biography is a reflection of…..a modus operandi of. E-V-I-L is just the mirror opposite of live, L-I-V-E? During the name and time stages, these supporter personalities Jon Anderson, Robert, Kaizen, Budidharma, Jeremy101, truthbeknown888…, had demonstrated extreme intolerance of even mild comments and criticisms, whether criticisms towards themselves, or towards the same person they supported. As late as recently, Ekud Hass even issued flats; so did Ram-Dass-named-guest who flattened about legal sues, Metta who flattened about kamma, like she is a god holding the arrows of karma in her hands, ready to strike anyone. Some are hatefully deceitful, or deceitfully hateful; some are artfully deceitful, or deceitfully artful, in revealing their hatred. Rod Meade Sperry made an innocuous, playful comment, and they (they?) swarmed over him, just so he would repost. It is full of intolerance, deceit, arrogance, hatred, sacrilege….you name it. YES, the recent posts of this blog are criticisms, they are open criticisms. The wordings are eventfully stronger, the contents are heavier…. Somehow these supporter personalities are silent. Where are Metta and al? We know that Metta, RD, Ekud Hass are still reading this blog, and they are silent. “They were so offended at that time that they did not ever come back to read this blog…” Yeah right. “The Archarya was never aware of this blog….” – he can no longer claim so. Of course he is aware. The vehement Ekud Hass would have told him about this blog, and I have proofs of specific Senjeedotorg deletions after I posted specific comments and invitations for responses. The Acharya is then fully aware of all the supporting personalities who had helped to promote him, supported him (but improperly) since as early as 2005. I do not see that I am emboldened by their silence. I see that for such extremely intolerant people being silent towards strong, heavy and open criticisms about their subject of support, means they are not able to refute my points sensibly. Another possibility is, the Acharya issued them directives not to respond anymore, that means, the Acharya knows them. Of course there is another further possibility. I will stress again: Vince Chan and Machitaro the wiki-editor had acted politely and restrained. The Acharya would have agreed to that, would he not? In addition, this blog’s own blogger was issued militant flats by Ekud Hass, a fanatical supporter and a big time fully. The Acharya is also aware of it. Indeed, these supporter personalities were emboldened by the Acharya’s silence. Ven. Acharya – if your website has incorporated cyber-bullying concerns, it is high time you issued a statement on those supporters of you who failed to have followed your strong standing against cyber-bullying. I stand by my criticisms as long as the Acharya does not even want to address that he knows these supporters or not, and what his responses would be, because his reluctance tells the world double standard. p.s. more and more compliments (“these people say I am good….”), more and more showing of accomplishments, more and more telling “I am a good man” and “I do a lot of good things”…I have a theory about this and people would get it. He was never able to demonstrate and address the basic concerns: to post original composition articles for others’ learning benefits, and the controversial things cited here. For speeches, people listen and time passes, and they are not going home to recapture and review if the information content itself is correct, or original. Written contents posted on a website is different. Visitors, students, scholars, people of various backgrounds review them…that’s why…. That is my theory. Prove me wrong. ^^^^^ Below is a quote for humility. I changed the original word ” ” into “fateful”. All people lie to themselves. It’s one of the most important things we have yet to accept about our own nature. We lie to ourselves to justify our past actions, to protect our self-image, and to promote ourselves relative to others. This lying is at the root of many of our problems. Until we see this, and strive to understand if not control it, the resulting problems will continue unchecked and the outcome will be certain. Any organism or society that makes self-deception its modus operandi will make many bad, and ultimately fateful, decisions. London, UK — As the world reels from some of the worst economic conditions in recent history, people are dealing with serious depression on all fronts. At a time like this the Buddha’s teachings on persistence, endurance and compassion are all the more relevant for people of all faiths who are increasingly seeking comfort through spirituality. For this reason, Canadian Buddhist Zen Duke has brought together talented artists from all over the world and all faiths including all Buddhist sects from Nichiren and Zen to Western and even Chinese. They are now on the verge of completing an ambitious global epic that will promote inspirational Buddhist teachings and philosophies to a mainstream English speaking audience like no other film before it. Engaging the concept of Upaya or “skillful means”, the film merges together 2 all-time classics “Robin Hood” and Shantideva’s “Way Of The Bodhisattva” and uses such Hollywood elements as rare and trademark martial arts, soulful romance and razor-sharp wit to promote the Dharma in a cool and sleek way to a global English speaking audience. Set in present-day America, the epic brings east and west together by filming in renown locations of the US, Canada, England, France, Japan, Switzerland, Hungary, Thailand, Singapore and India on an ambitious global scale rarely seen outside the Hollywood studio system. As Zen Duke states “this is quite possibly the first English film that directly promotes so many Buddhist concepts from Bodhisattvas to Dharmapalas along with powerful teachings of Lord Buddha in a manner that can inspire and empower all audiences. It is also the first English film to pay homage to Bodhi Dharma — venerated across Asia as the founder of Zen Buddhism and Kung Fu as well as the first to use never-before-filmed martial arts to promote Buddhist principles the way the Shaolin monks and Japanese Samurai use to”. Zen Duke himself fell in love with the Dharma when he was in India meeting with Bodhisattva and Nobel Laureate Mother Teresa and serving as a social worker poor children with disabilities and child victims of HIV, drug abuse and prostitution. They taught him to always smile through life’s obstacles and often disarm them with a good sense of humor which explains the witty tone of the film. Furthermore, while visiting the place where Lord Buddha gained enlightenment in Bodh Gaya, Zen felt profound emotion and realized he had found his life’s calling and began to study the Dharma with a passion. During his time in India, he also referenced other aspects of Indian culture that influenced the sutras from the culture of the Kshatriya warriors who were the original Buddhist teachers to aspects of the Gita and Ramayana and other Hindu scriptures that first defined certain terms that subsequently found their way into Buddhism. Rogers City TV has referred to Zen Duke as “the next Deepak Chopra — the West’s brand new ambassador for Indian spirituality”. Upon returning to the West, Zen used the Buddha’s teachings to overcome unfathomable adversity in his own personal life and has since become a charismatic Buddhist motivational speaker who makes the Dharma exciting and applicable to our day to day lives in a whole new manner that today’s generation can relate to and be inspired by. However what truly surprised Zen was the realization that many aspects of the Dharma have been misrepresented in the West and so he is determined to promote the true Buddha Dharma of the incomparable Shakaymuni and is writing a book to clarify and correct the clichéd myths that have become associated with certain aspects of Buddhism especially in America. The film is completely non-political and is meant for both Buddhist and non-Buddhist audiences as it uses the popular superhero genre to both entertain and empower all demographics with an inspirational message during these challenging times. In fact not only has Zen used these same Buddhist credos to dwarf insurmountable odds in his own life but he has also used them to help his cast-mates deal with severe problems in their personal and family lives from battling cancer to recovering from near blindness. The theme of the film is synonymous with the famous words of Bodhi Dharma — represented by Daruma dolls across Japan. His mantra Nana Korobi Yaoki in Japanese means “If you fall down 7 times, Get up 8”. Indeed a lesson that can inspire and empower audiences of all faiths during the present recession when Buddha’s teachings are all the more relevant. The above is a news-piece quoted verbatim. I do not lyrically dispute on the beauty of Zen Duke’s dharma biography, serving Mother Teresa and the less-fortunate children since his earlier years, which was beautiful. Chronologically speaking, he started dharma study and found his dharma calling after he was mature enough to be a social worker in Mother Teresa’s place. The other Zenji official chronological biography says that Zenji is a Buddhist-Brahmin of family lineage, with Acharya as family names. Zenji, as a Brahmin, studied the family-preserved ancient Buddhist scripts diligently and inherently. The two versions are less coherent, but they are still compatible. I comment no more, no less, no tone. The Acharya does not have some explanations to do, we all can connect and smooth out the biographies. Nevertheless, if they can lyrically stand up in a courtship is another matter, say, when one is conversing with a friend in the course of a dinner. Where is Buddhism…..in Zenji dot web? On March 16-19, 1993, a meeting was held in Dharamsala, India, between His Holiness The Fourteenth Dalai Lama and a group of twenty-two Western dharma teachers from the major Buddhist traditions in Europe and America. Also present were the Tibetan lamas Drikung Chetsang Rinpoche, Pachen Otrul Rinpoche, and Amchok Rinpoche. The aim of the meeting was to discuss openly a wide range of issues concerning the transmission of Buddhadharma to Western lands. 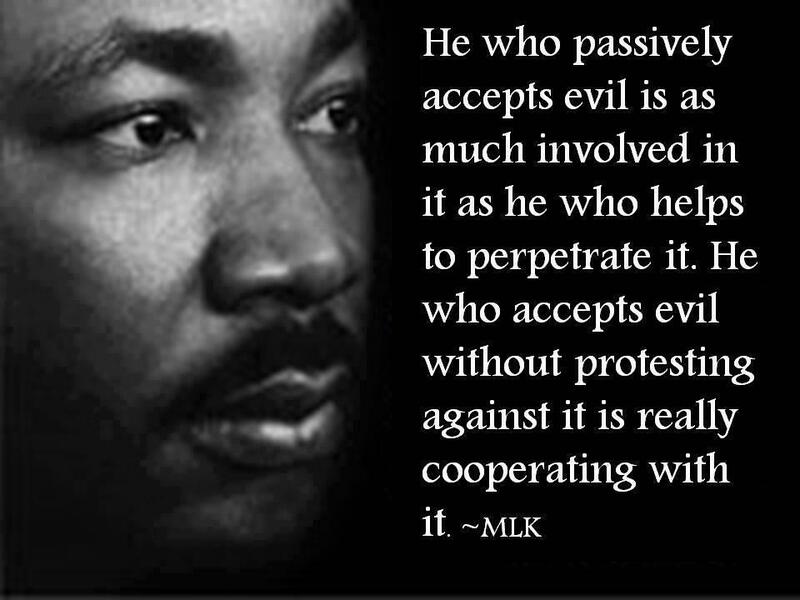 It is analogical to Dr. Martin Luther King Jr.’s notion to ‘point out evil’. I reckon I am not as smart as the advice that I give, and, there are no smart advices at all. Oy Vey, if I am as smart as the advice that I give, then I know you are not you, Karma101. btw, Karma101 questioned me if I can look at myself in the mirror….Sigh. Primarily, my focus is more on the 1993 Dharamsala meeting agenda; 2ndly, note that this enthusiastic Buddhist student, as a student, managed to introduce basic Buddhist teachings and concepts on the side; 3rdly, notice that the controversial teachers, just about much of them share this quality: self-proclaimed. – When you claim that you correct PhDs, certainly Buddhist students, visitors to your website zenji.org would be eager to read more about your teachings and substance. There are international visitors who do not have the fortune to have lived near where you give lectures. In turn I am afraid you cannot respond to potential questions of “How good are you in your Buddhist knowledge?” by “Well, these people say I am good. I hold many titles. I give lectures.” You may as well explain that you are busy working on your book so there is not much time for a blog-like periodical article contribution. – “I give lectures.” Exactly. In the past you held seminars and public talks right? You had the talks drafted and written on papers, before you delivered the speeches right? If the talks were not recorded on audio nor video tapes, you are benefitting the visitors and students simply by organizing and uploading your past teaching paper drafts in Word or converted pdf documents. If you never had drafts meaning you never needed drafts, even better. That denotes you can almost instantly write articles and teachings for your website. – In addition, there is a deeper question for any readers to contemplate. Readers of this blog, after you get a chance to visit zenji.org, you will find claims of accomplishments, listed offices, honors and titles, celebrity associations and photos, the glory of compliments, stress of exclusiveness, authenticity and noble heritage, all these and all these, with a tone written excitedly and excitingly. It is a glamorous Buddhism, once again an oxymoron, but it is existing, now. It is a lesson in reality. I also find it odd that he does not list the monthly speaking engagements in the near future, but favouring the complimentary quotations and testimonials incurred from the past after the events happened. It’s another lesson in reality. Again, there could be friends who happen to live near where he will be giving public lectures, and he is doing them a benefit of learning experience. Now, contemplate deeper…..Where is Buddhism in all these? Naturally he did not list delisted-offices, ‘cos it is not exciting. He resigned from the Buddhist Council of Canada. He founded the World Buddhist Council(.org), either chronological order. It is not to be misinterpreted as the World Buddhist Sangha Council. After Buddhism was founded 2500 years ago, someone in the CE 2000s, let’s count from 2005, showed up and self-claimed that his family went underground, that he carries exclusive ‘the only so-and-so, the only this-and-that….’, authentic, noble Buddhism lineage and knowledge, and is ready to declare himself to the world. Starting with Toronto, a North American metropolitan, then Canada, then the world. The Buddha says, “Examine my own teachings.” My best advice, actually it is the Buddha’s advice, even the Acharya will agree, is to stay neutral and examine his claims independently and responsibly. One needs not get infatuated by his exciting claims. It is not about how many titles, how many photo associations with celebrities a Buddhist teacher possesses, it is about one’s internal content and substance. It’s not about ‘I am working on this exciting project, that insightful book’, it is about if the project really gets realized and well-received eventually. I would rather suggest he makes the remarks after the book is published, after the Lotus Sutra commentary is completed. —What happened to the movie “The Armor of God”? Nebulia’s responses will be, “He possesses strong memory and charisma no doubt. Everyone possesses some skill sets when he goes out to the society to make a living, or to make an impression. Firstly, when you are a (say Harvard) guest speaker hearing another guest speaker possibly erred, would you abruptly rectify the other guest’s speech in a polite Buddhist conference environment? Secondly, for the general audiences, they listen to quotations of this from this sutra, that from that sutra, from this/that Buddhist teacher names and they got impressed, thrilled…..
Nebulia’s assessment: he is a good data recaller. He did memorize the data painstakingly, ready to throw out Buddhist terms; who says what and what sutra tells what; or the list of names, a list of earlier classical Buddhism scholars, a list of Western philosophers, a list of eastern and western religious faiths and brief introductions… when he touches upon the subjects. It impresses people. Nebulia’s response: True, Nebulia does not know if he had terminal records before. Firstly, I merely point out the links. Let the links communicate to the readers, let the readers decide. Secondly, my theory is, someone tried to race time to meet more people, take more photos, before they are aware of other potentials and pictures. It’s not difficult, just needed to ask aggressively introductions after introductions. His supporting personalities like to use the word ‘speculation’ towards others’ concerns. Therefore, we have a conceived solution to resolve things. It is black and white, either he is, or he is not. He lacks the power of synthesis. He has yet to demonstrate structured or non-structured serious materials of his own. Here is one European Buddhist Studies institute associates herself with oriental Buddhist Studies institutions, despite his concerns on the Westernized Buddhism, Westernized agenda: http://www.cbs.ugent.be/node/1. The mentioned 1993 meeting is another example itself, they set up respectful guidelines. I have examples of what I claim, he should backup his claims with data on ‘most Buddhists….’, ‘Western authors who often….’ From which report, publication the quantitative ‘most’ come from? Any listed examples of ‘quote from’? As for the Western authors with their own agenda: whom, what book, which page? – When you promote, just promote, please do not trample upon others. It also reminds us of other personalities that we encountered: Jon Anderson promoted for Duke Panache and got into a fight with Vince Chan; truthbeknown888 promoted for Zen Acharya and got into a fight with Machitaro the Wikipedia editor (both cases are more like attacks upon others); Samadhi promoted for Zenji Acharya and decided there will be 1% of people who won’t like Zenji Acharya, because they are not as good as Zenji Acharya. If you can incorporate the exemplary Western singer Justin Bieber in your contemporary catered Buddhist talks, how can you have asserted that “Western authors who often take the liberty… ”? There are 84,000 Gates of Dharma, meaning, there are 84,000 paths to Dharma. Attachment is but an illusion, so is a hyphenated title. Near the end of The Diamond Sutra, the Buddha says, “Throughout all these years, actually I hadn’t talked anything, taught anything.” Therefore, why the attachment of “I am truer, others not so true”? That’s not the way to craft your market. Why the hatred? He was already concluding his data, he did not say the few Western authors (admittedly there are, both Western and Eastern, that’s why we like to share with readers the viewonbuddhism.com link), he was saying “most Buddhists” and Western authors in its totality. Therefore, whether the quoted quote stays or goes, both will do the Dharma world a great benefit. Btw, recap: someone attempted to take the liberty to redefine NioZen before, mixing Bodhidharma and Shaolin monks and martial arts into NioZen. The attempt was blocked and rectified by Wikipedia. 3. or opt for something literary and sentimental, as in sonnets and stanzas, “O my Lord Buddha, Bhagavan: of the uncountable stars in the universes, of the uncountable sands along the banks of the Ganges, you point out our samsara of anguish is just as pronounced ages…”. If, if Buddhism is there in his website, breath and meditate with the wisdom of your heart’s calling; extract, transcend from beyond all the glamours and contemplate on this: is he serving Buddhism, or is Buddhism serving him?